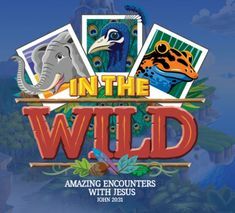 Join us at St. Luke’s on the Lake for our annual Vacation Bible School, where each day the Bible Point, Story, and Key Verse we encounter teaches us more about Jesus. Kids participate in memorable Bible-learning activities, sing catchy songs, play teamwork-building games, devour yummy treats, experience one-of-a-kind Bible adventures, make crafts that even boys love, and test out Sciency-Fun Gizmos they’ll take home and play with all summer long. Participants: We have classes, yes actual classes, for ages 0-3 years old in our Tiny Shutterbugs, staffed by our professional nursery workers and volunteers; for preschool through rising Kinder classes in our Lil Shutterbugs program; and finally rising 1st through 5th graders in our Big Shutterbugs program. Our registration fees are $50/child, $150/max per family. Partial and Full Scholarships are available – contact LoriAnn at lalavallee@stlukesonthelake.org. Sign up NOW, right here. Volunteers: Whether you are young or old, male or female, new to Christ or a longtime follower, we have a place for you to lend your talents, time or treasure for Vacation Bible School (VBS) at St. Luke’s on the Lake. It takes a total of about 135 volunteers to serve the 200+ kids attending VBS each year. Please pray about how you might help us with this extraordinary outreach effort as we share God's love. Children of volunteers receive a $15/child discount. Every volunteer who registers by March 1st will receive a special gift. Sign up as a volunteer NOW, right here. Can’t wait to see you this summer! !